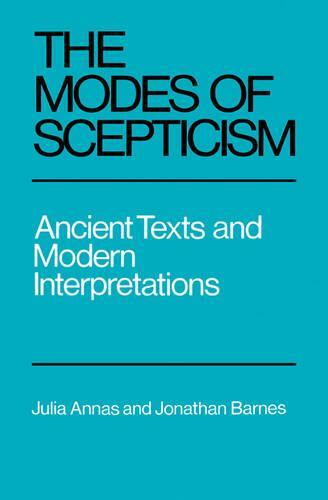 The Modes of Scepticism is one of the most important and influential of all ancient philosophical texts. The texts made an enormous impact on Western thought when they were rediscovered in the 16th century and they have shaped the whole future course of Western philosophy. Despite their importance, the Modes have been little discussed in recent times. This book translates the texts and supplies them with a discursive commentary, concentrating on philosophical issues but also including historical material. The book will be of interest to professional scholars and philosophers but its clear and non-technical style makes it intelligible to beginners and the interested layman.